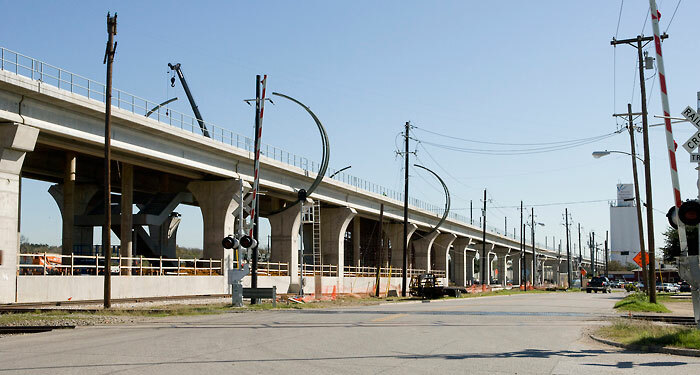 Dallas Area Rapid Transit Green Line Expansion | Texas Shafts, Inc. 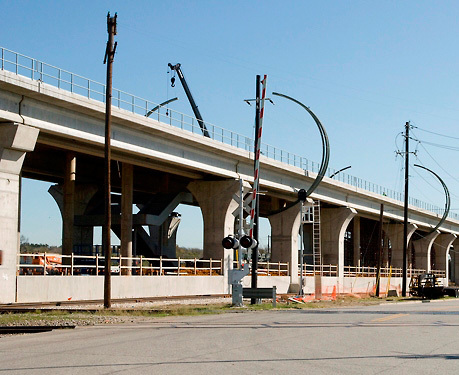 Approximately 1,600 drilled shafts totaling more than 68,000 linear feet were installed over a 28 mile expansion of the DART rail system. The range of work included drilled shafts for light pole bases, catenaries, canopies, stations, track slabs, and bridge piers. Diameter and depths varied widely from 18” diameter and 20’ deep to 120”diameter and 90’deep. Access was very restricted in most locations and low clearance equipment was required in certain areas. The project alignment is underlain by Quaternary alluvial and trace deposits and the Austin Chalk Formation. The alluvial and terrace deposits typically consist of clays, sandy clays, silts, sands, and gravels. These soils overlie the Austin Chalk Limestone Formation. The Austin Chalk Limestone Formation consists of gray limestone with thin interbedded shale layers. The predominant method of installation was the casing method. Casings were installed using processed native materials, polymer slurry or vibratory hammers. 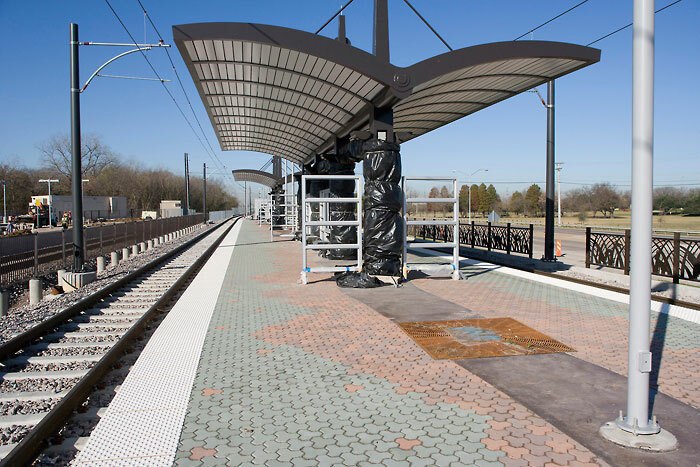 Approximately 1,600 drilled shafts totaling more than 68,000 linear feet were installed over a 28 mile expansion of the Dallas Area Rapid Transit rail system.